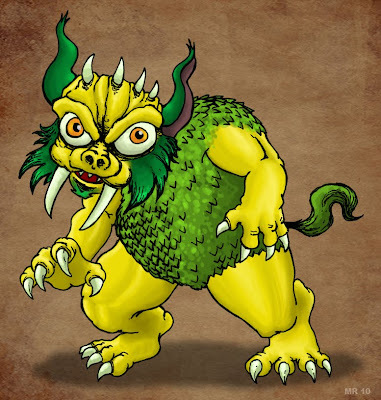 A Bunyip is a large ogre-like figure from Australian aboriginal folklore. Bunyips make their homes in waterholes, bogs, or swamps, and prey upon those who get too close. There seems to be no clear description of the creature, with come accounts describing a sleek, panther-like water cat, while others add any number of claws, fangs, ears, horns, beaks, or bills. It usually kills it's prey by hugging and crushing them to death.